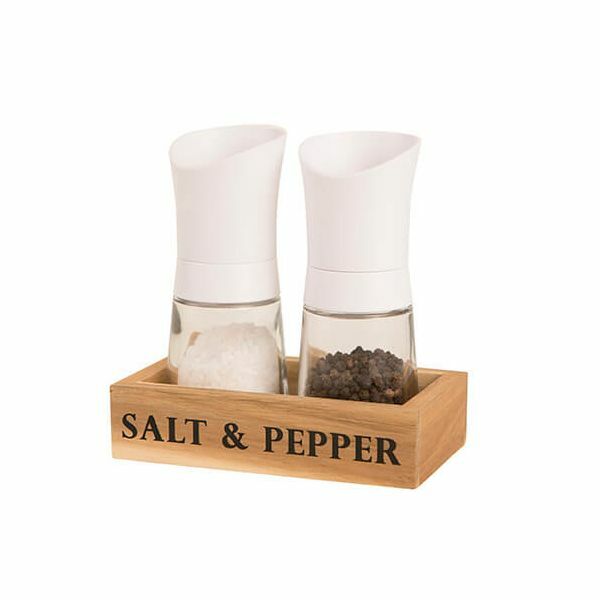 This T&G woodware salt & pepper set features a white top and is made from clear acrylic and so that the contents can be seen at all times, easy to see if they need refilling. The traditional grinding mechinism dispenses salt and pepper easily. 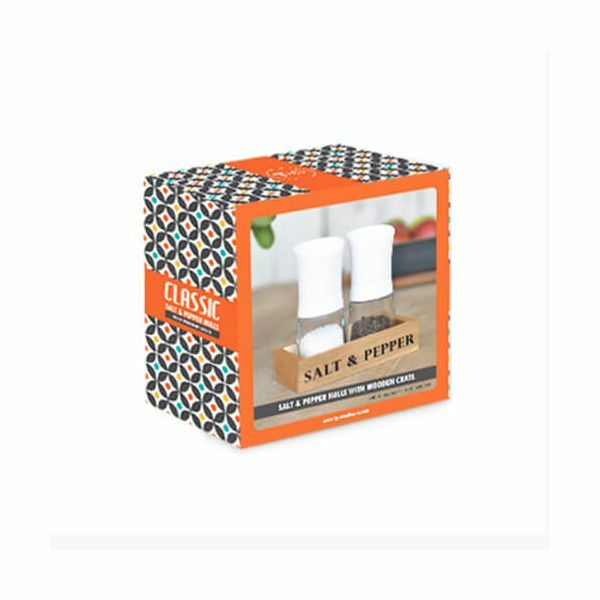 Included in this T&G woodware gift set is a wooden crate for storing the salt & pepper set.